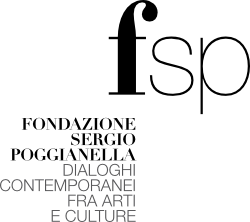 Fondazione Sergio Poggianella: CONFINI E CONFLITTI. VISIONI DEL POTERE NEL TAPPETO FIGURATO ORIENTALE. BORDERS AND BATTLES. 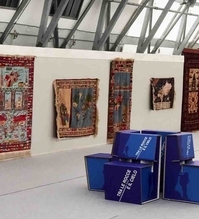 PICTORIAL ORIENTAL CARPETS. A VISION OF POWER. Teatro Tenda, Raossi of Vallarsa and at Teatro Comunale Sant'Anna, from 14 to 31 August 2016. Mountain Life Day. On 20 August, 2.45 pm at the Teatro Tenda of Raossi, HUNT IN THE WORLD, exploratory route for children aged from 6 to 12 year, by Sergio Poggianella and Micaela Sposito. The workshop will allow the younger audience, in their own autonomy, to face the exhibition path of the carpet exhibition BORDERS AND BATTLES in a playful mode borrowed from the "treasure hunt": following the images collected in a special poster, they will have to recognize the fragments of the geographical representations and landscapes taken from the carpets exposed in the exhibition " Borders and Battles ".Every detail (a country, a monumental building, a face, an object) is associated with a brief narrative, with the aim of soliciting a reflection in an intercultural perspective.